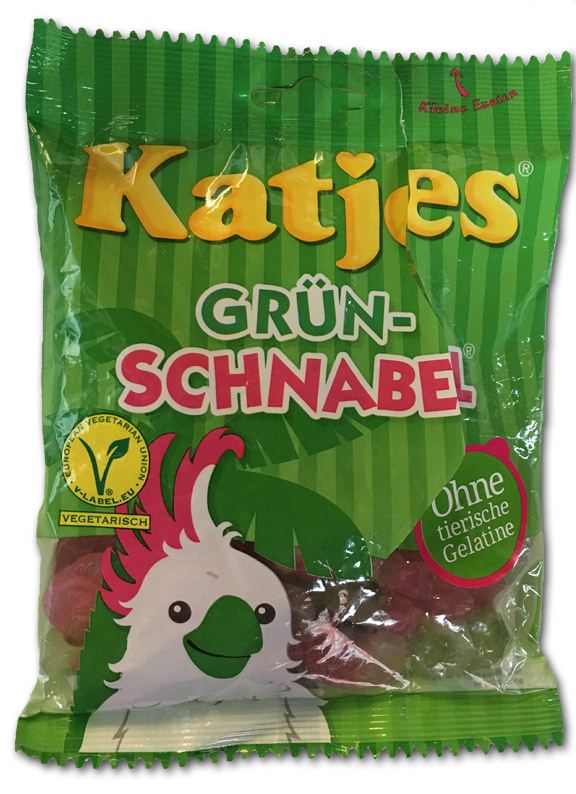 Home » 5 Freshest » Katjes Grun-Schnabel: As Good as they Sound! Katjes Grun-Schnabel: As Good as they Sound! With a name like Grun-schnabel – they have to be good! I can tell you this, we love us some Katjes. Always have. Follow that link and just look at all the stars! But these “green bird beaks” (according to the translation of German friend and colleague, Stefan) may not keep up. At least at first they didn’t. I appreciated the slight watermelon / strawberry tinge of flavor, even if it went away fairly quickly. But I didn’t love the semi-soft gummy texture. 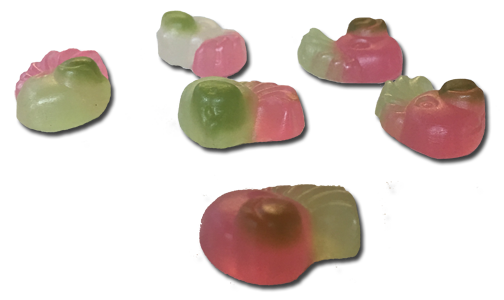 Look, either be a hard gummy or be a jelly. Don’t try and be both. And thennnnn, well. I ate the whole bag. Gave a few away, but basically ate the entire thing. And I liked them more and more as I went along. Simply satisfying, not too sweet, not too heavy. Plus, I read on the package (great place to learn things by the way) that these are both passion fruit and ‘ananas,’ which is pineapple. Kinda fun flavors. Mind you, they didn’t taste like that to me — see my comment about watermelon / strawberry above…but hey, I don’t judge. I want you to like what YOU want you to like. The Grun-Schnabel started at a simple 3 stars, moved up to a 4, and landed solidly at a 3.5 since they are “vegetarian.” Not because I’m a veggie, I’m not, but because this reviewer appreciates people who care. People who care about SOMETHING even if it’s about not eating meat when I f(*&ing LOVE meat. Back to the point. Like all Katjes, they’re solid enough to eat in large quantities. Go get yrselves somes. And be like me: ‘care’ about something. In my case, it’s meat.